We’ve all seen those relatable memes on social media feeds that say things such as: “Target shopping mission: buy shampoo. Two hours later, spent $300.” As a Target consumer myself, who has been guilty of the above unintentional shopping spree too many times to count, I’m taking the challenge to learn more about ethical shopping and be more aware of ethical sourcing. As one of the largest retailers in the nation with 1,800 locations and 85% of Americans shopping at their stores, it has a large impact and influence on how products are sourced and how consumers shop. In 2016, Target announced their responsible sourcing aspirations and laid out a framework focusing on three important areas: improving worker well-being, achieving net-positive networking, and deriving key raw materials from ethical and sustainable sources. Target’s goal to improve worker well-being is focused on promoting accessible nutrition and health to the 3 million people in the factories and surrounding communities where Target’s house-brands are produced. It will also focus on education and training for women. Through this aspiration, Target hopes to eliminate forced labor by monitoring it through its supply chain and taking appropriate actions to eliminate it when found. If you’re wondering what “achieving net-positive networking” is, it means that Target is working with partners and other organizations to protect and improve the environment, as well as building and creating sustainable communities around the world where their factories are located. You can check out Target’s global factory list here. Target’s commitment to derive key raw materials from ethical and sustainable sources means the company will design sustainable products, support responsible production practices, and improve new and current products to reduce waste. You’ll be happy to know that this mission is meant to give you, as consumers, a more positive social and environmental impact. If you’re a lot like me, where most of your wardrobe and half of your home is furnished by Target, then take the time to connect what’s happening in the factories to your shopping experience and how you engage with the products. Target’s commitment to derive key raw materials from ethical and sustainable sources means the company will design sustainable products, support responsible production practices, and improve new and current products to reduce waste. Although Target’s ambitions and goals are all very exciting and positive, we would rather see Target work towards fair trade versus ethical trade. However, I do still give Target credit for moving in the right direction and using its capacity and resources to be a leader for other retailers. Now, you’re probably wondering, “What is the difference between fair trade and ethical trade?” We've got you covered. In summary, Target’s initiatives and goals are focused on taking steps to improve workers’ conditions throughout their supply chains and the communities of their house-brand factories. As consumers, we would like to see Target focus on protecting poor developing countries from low international market prices of commodities. Having a Fairtrade Mark on their products ensures consumers that producers received fair terms of trade and fair prices. This also helps to address and raise awareness of the injustice of low prices in developing countries. But don’t give up hope, because in an interview with Kelly Caruso, President of Target Sourcing Services, it was mentioned that Target formed a partnership with FairTrade USA to certify decorative home hard goods as Fairtrade, making Target among the first retailers to do so. If you’re shopping through the Target aisles and looking to revamp your home, keep your eyes open for the Fairtrade Mark on their products. 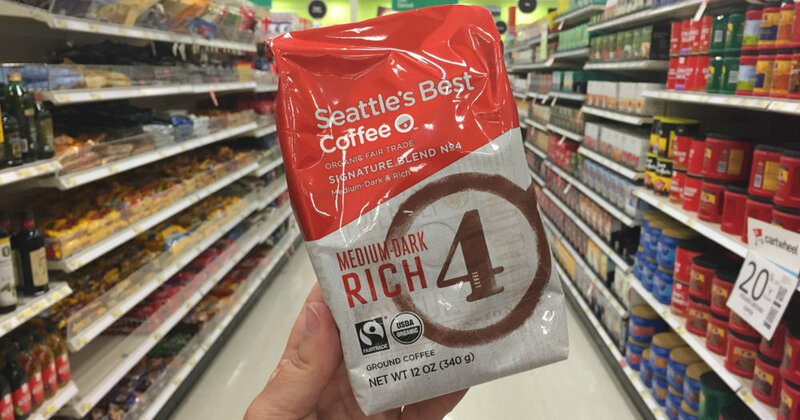 If you’re shopping through the Target aisles and looking to revamp your home, keep your eyes open for the Fairtrade Mark on their products. As consumers, let’s not only hold Target or other retailers accountable but ourselves as well. Let’s get educated about the products we buy, ask questions, and seek answers. And if you love Target as much as I do, become engaged in their mission toward responsible sourcing and supply chain sustainability. They’re offering a transparent view of their work with partners around the world, and you can follow their stories here. If 85% of us are truly shopping at Target, we as consumers, have a large platform to influence retailers to put progressive and ethical sourcing practices in place. It’s teamwork. The more of us that are working together, the bigger the impact we can make toward positive economic, social, and environmental growth. Gaochen Xiong recently graduated with her Master’s in Public and Nonprofit Administration. As a first generation born Hmong American, who is dedicated to paving the way for her children and future generations, she is excited to expand her knowledge and fight for justice through Dressember. She’s an avid reader, lover of all things arts and crafts, and enjoys experiencing new adventures and traveling with her family.